Buddha statues are believed to inspire us to develop our inner skills when we want to achieve happiness, wealth and contentment. 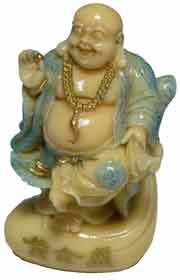 These Buddhas make wonderful gifts and fantastic ornaments in any room that they are placed. Each of these Crystal buddhas is hand carved so you will never get on that is 100% exact to each other. It is extremely hard to photograph these cures as the pictures really do not show the outstanding craftsmanship and attention to detail that has gone into making each one. 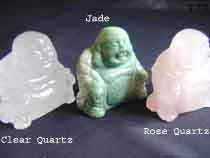 Every Buddha has had the best quality crystal selected before being carved. You should rub his tummy daily for good luck. The Buddha statues that we use for Feng Shui Cares are based on the story of a Buddhist monk who lived in China many years ago. He was quite unconventional as a monk, but his heart loving and open, and in time he came to be loved by many. 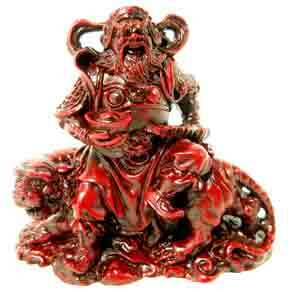 He was blessed with many riches in life and good luck and was adored by many throughout his whole life.